Bored of the same old cocktails? Then Bunta Bar’s in-house cocktails are here to throw the monotony out the window, and give you the refreshing kick you’ve been lusting for! From giving their own twists to the classic cocktails to coming up with their own melanges, these cocktails by Bunta Bar are making us thirsty and how. Read on! 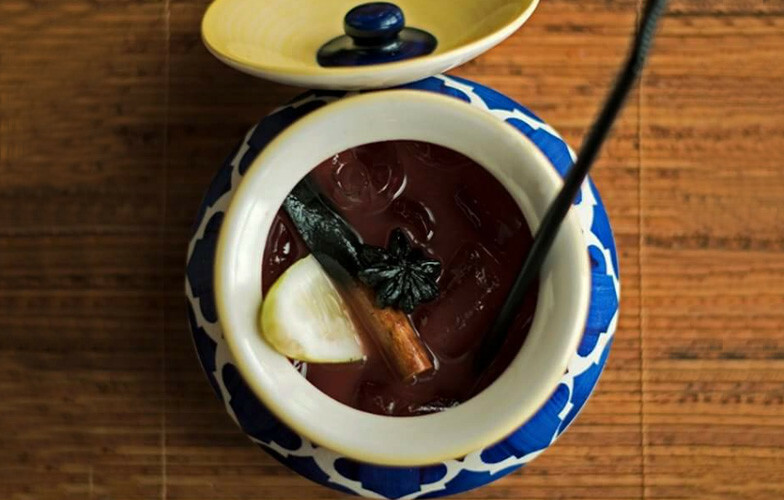 Served in a beautiful patterned bowl, Bunta Bar’s Desi Cocktail blends the best of both the worlds - desi and videshi; the Desi Cocktail is a delectable amalgamation of bourbon whiskey charged with elderflower, pomegranate, amla and orange. Thirsty already? Go feast your tastebuds and get refreshed. 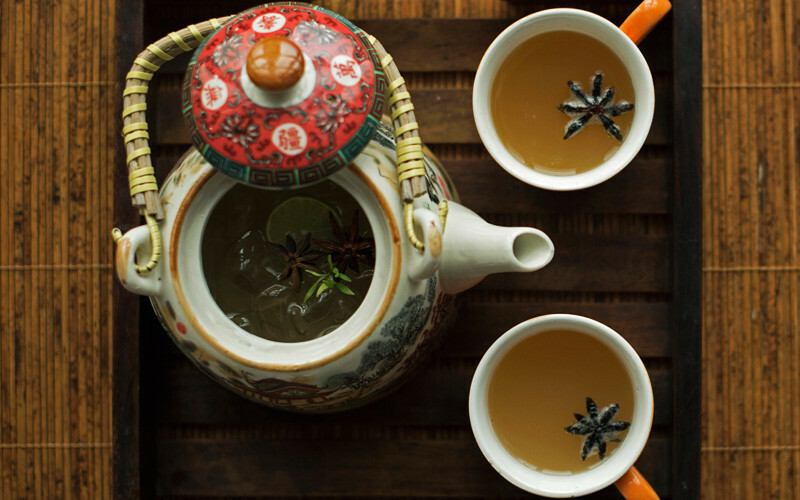 How about tea and alcohol in the same drink? 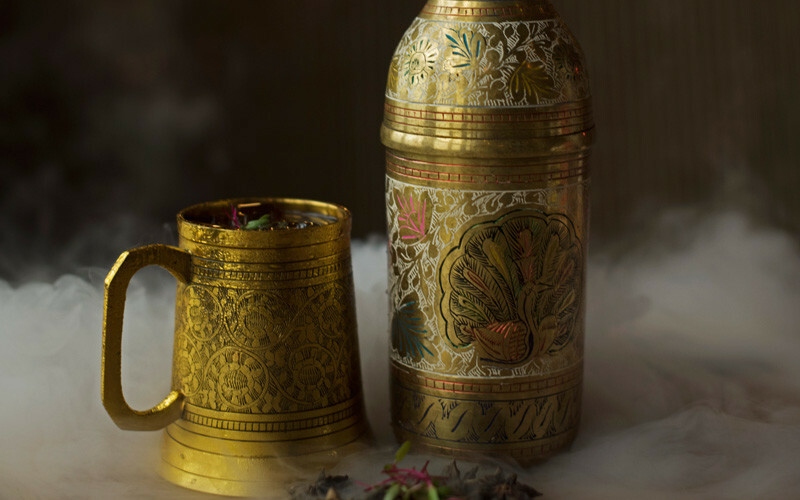 Bunta Bar’s Nawabi Taara is a super innovative cocktail and we’re already lusting to try it. In the drink, gin is infused with Earl Grey Tea and spices, amla and elderflower to bring out a mind blowing concoction. Reflecting its name, it’s served in vintage and Victorian-themed bottles and glasses. Served in a classy, golden and masked glass, this one is certainly one of a kind! Standing by its nomenclature, the Tigrum Colada encompasses three kinds of rum and is also infused with tropical flavours of coconut, orange and pineapple (awesome!). Bunta Bar’s Tigrum Colada is a delectable cocktail that is both high on alcohol and has refreshing punches in it. Go try! A Buntastic take on the classic Julep, Bunta Bar’s Amrikan Gulab Mule is one hell of a drink. 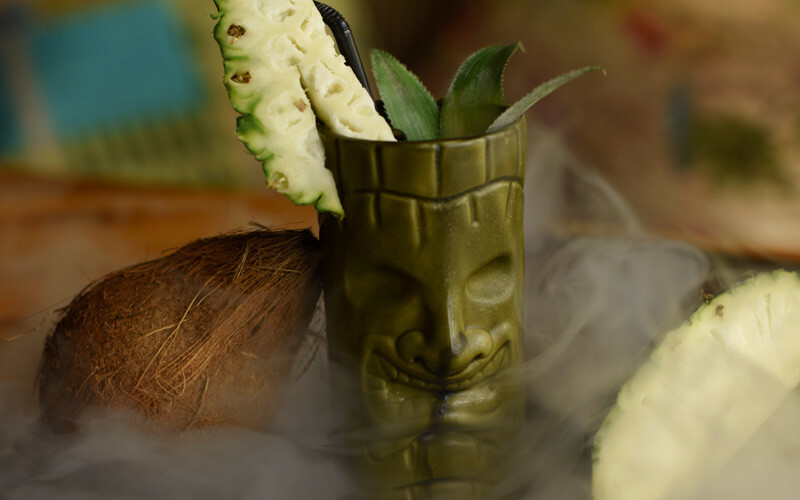 The concoction comes into being by blending American whiskey with Indian rose and mint flavours. 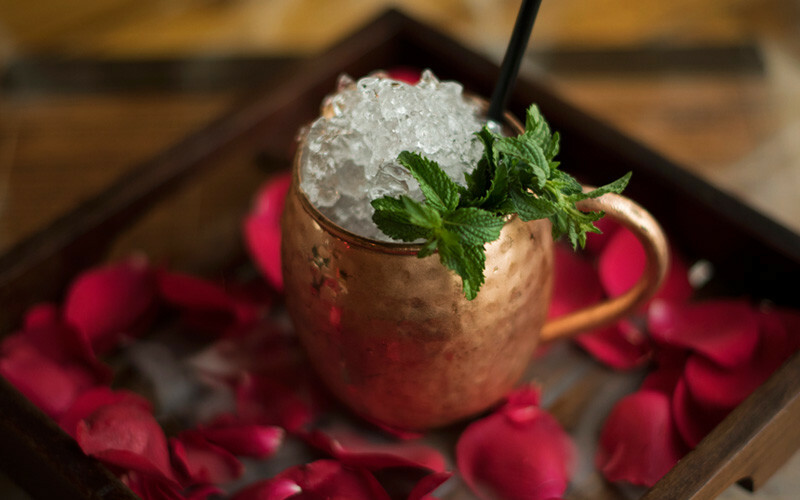 Served in a traditional copper glass with rose petal sprinkled on the sides, this undoubtedly seems like a must try! If the name Babaji ki Booti wasn’t enough to lead you to the drink, then the ingredients will certainly bowl you over! Served in pretty kettles (seriously! ), this drink entails gin, elderflower, amla and is topped with tonic water. Awesome! We are absolutely going to glug this one down, how about you? If all these concoctions weren’t enough, Bunta Bar has formulated a crazy cocktail named Nagpuri Masala, and we’re going super gaga about it. It’s a vodka-based drink that is infused with a riot of flavours like honey, kali mirch and charged with citrus, orange and juice. Yum! We’re thirsty already. So head on over to chug them all!